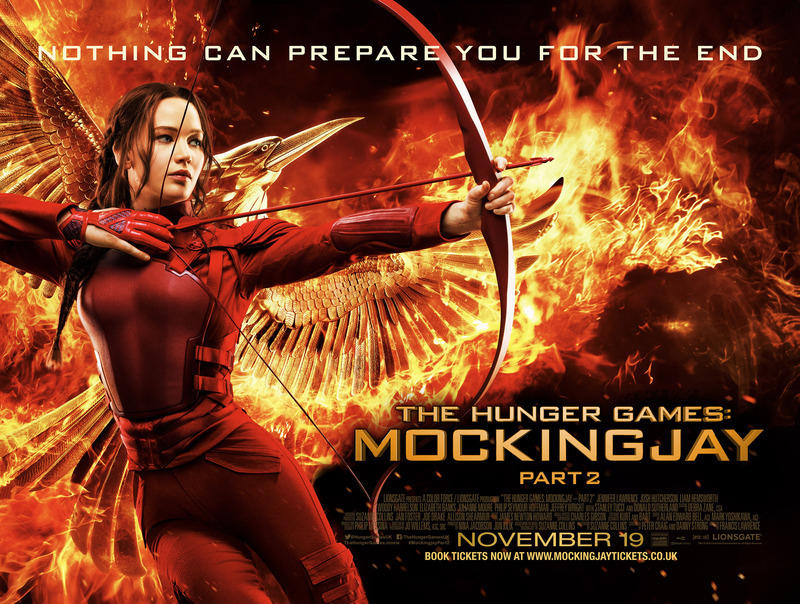 Competition – Win ‘The Hunger Games: Mockingjay Part 2′ Poster signed by Sam! 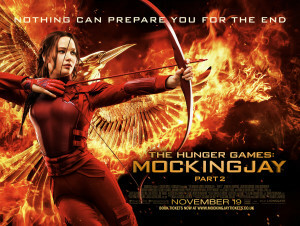 The Hunger Games: Mockingjay Part 2 arrives in UK cinemas November 19, and to celebrate, with thanks to Lionsgate & Think Jam, we’re able to offer five lucky winners the chance to win the film’s poster signed by the one and only Sam Claflin himself! Sam & Natalie Dormer joined Matt Edmonson on his BBC Radio 1 weekend show to talk all about Mockingjay Part 2. It’s a great interview, and Sam is so funny as always. Listen out for him talking about his Glamour Man of the Year award, Claflin BBQs and yet another of his clumsy moments whilst on set…oh dear Sam! SCF were in London once again to support our fave guy at the premiere for Mockingjay Part 2. And it is with great pleasure that I can tell you all about it. What a wonderful night for Sam and the rest of the cast! 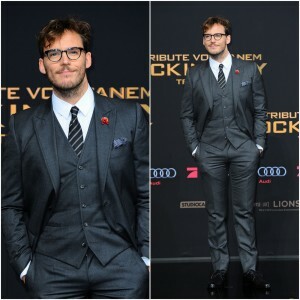 Sam attended the ‘The Hunger Games: Mockingjay Part 2‘ UK Premiere at the Odeon Leicester Square on November 5, 2015 in London, England. Congratulations are in order for Sam & his gorgeous wife Laura as they announced that they are expecting their first child! 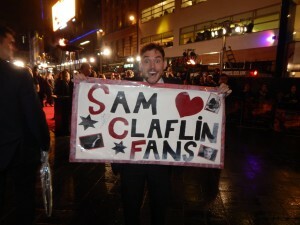 Sam also seemed to take a liking to our banner at tonight’s premiere and we grabbed this great pic of the moment! 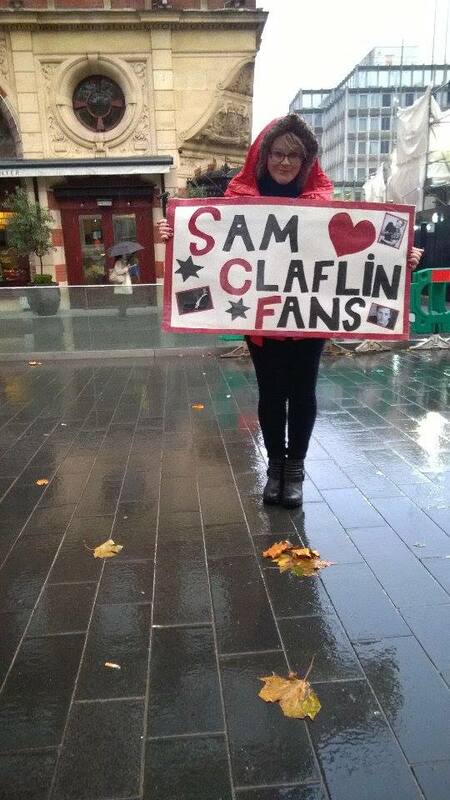 We will soon post an article about our adventure in London to support our one and only Sam Claflin! Stay tuned! 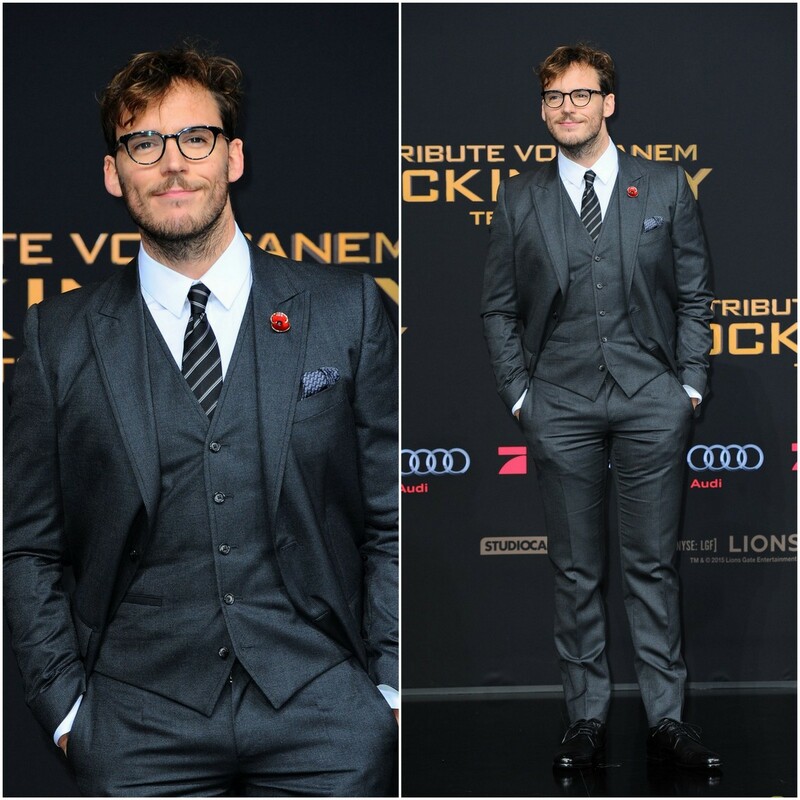 Our dear Sam attended “The Hunger Games: Mockingjay Part 2” World Premiere on November 4th, in Berlin, Germany. As always he looked absolutely stunning! And who doesn’t love his glasses? 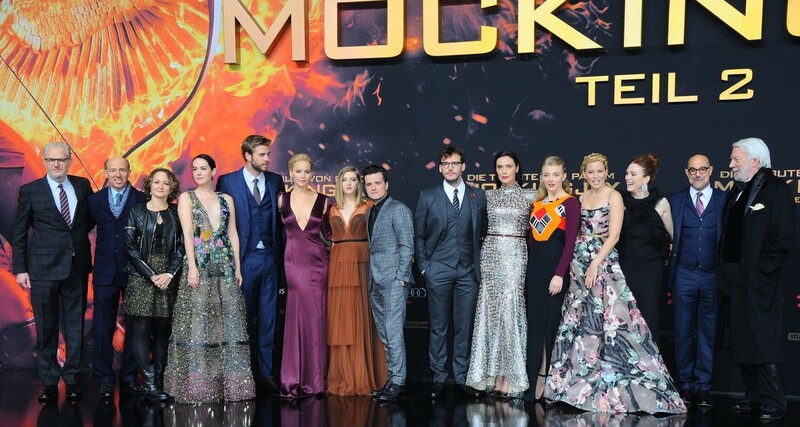 Producers John Kilik, Nina Jacobson, actors Jena Malone, Liam Hemsworth, Jennifer Lawrence, Josh Hutcherson, director Francis Lawrence, actors Willow Shields, Elisabeth Banks, Natalie Dormer, Julianne Moore, Stanley Tucci and Donald Sutherland also attended the premiere.